Summary: Difference Between System Software and Operating System is that System software serves as the interface between the user, the application software, and the computer’s hardware. To use application software, such as a word processing program. While an operating system is a set of programs that coordinates all the activities among computer hardware devices. It provides a means for users to communicate with the computer and other software. System software serves as the interface between the user, the application software, and the computer’s hardware. To use application software, such as a word processing program, your computer must be running system software — specifically, an operating system. Three popular personal computer operating systems are Windows, Mac OS, and Linux. Each time you start a computer, the operating system is loaded (copied) from the computer’s hard disk into memory. Once the operating system is loaded, it coordinates all the activities of the computer. This includes starting application software and transferring data among input and output devices and memory. While the computer is running, the operating system remains in memory. 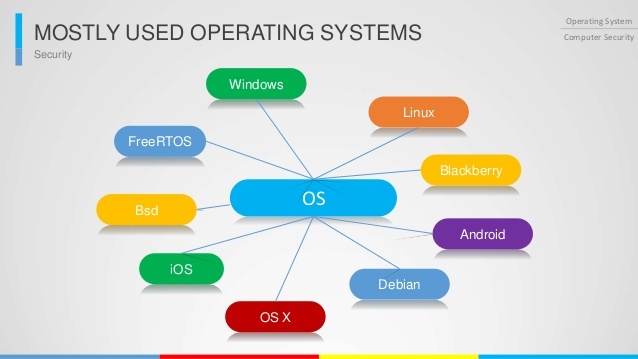 An operating system is a set of programs that coordinates all the activities among computer hardware devices. It provides a means for users to communicate with the computer and other software. Many of today’s computers use Microsoft’s Windows, the latest version of Windows, or Mac OS, Apple’s operating system. When a user starts a computer, portions of the operating system are copied into memory from the computer’s hard disk. These parts of the operating system remain in memory while the computer is on.